The Prime Minister has landed in Japan to attend the 13th Indo – Japan summit starting Sunday 28-29 October 2018. The Prime Minister to cover several issues including the bullet train and issues pertaining to it’s implementation. Japan and India are partners to many joint military exercises. PMs to discuss on logistics, infrastructure and development projects for the Indo-pacific zones. Japanese PM Abe would just be back after visiting China, it was the first time a Japanese PM stepped foot in China in 7 years. PM modi and PM Abe to hold talks on the progress of the bullet train between Ahmedabad and Mumbai. The project is currently stalled due to land acquisition. The Indian government is unable to convince locals to give up their land. Both governments want to wrap up the project before 2022. India likely to bring issues related to Korean peninsula. 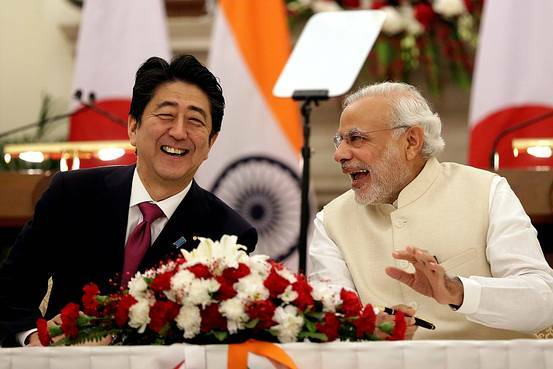 PM modi and PM Abe share a close bond, this would be their 5th summit together in 5 years. PM Abe to host PM Modi for lunch at his personal guesthouse in Japan.